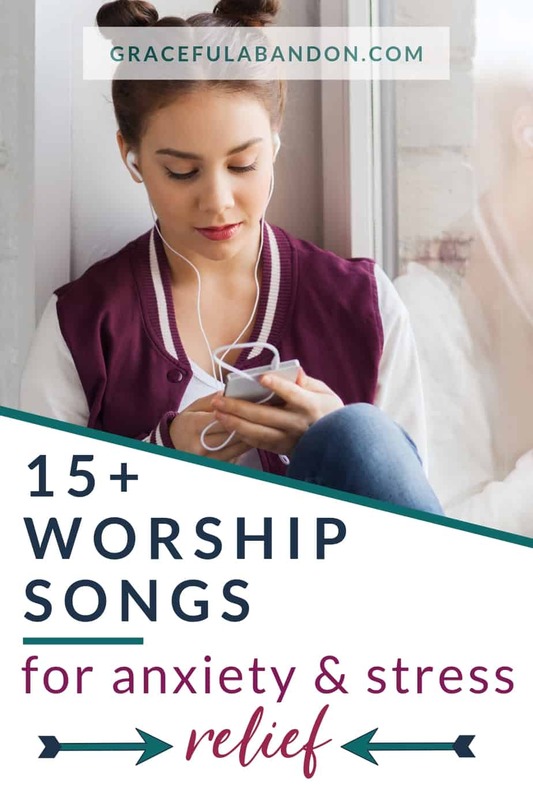 This list of the best worship songs for stress and anxiety relief in Christians gives you songs to help overcome when you are anxious and overwhelmed. Have you ever noticed how a good song can get your feet dancing and make your mood brighter? Or how the right song is the perfect soundtrack for wallowing? That’s why choosing the right playlist for anxiety relief is so important. God created music and made it so that we resonate with it on a very deep, soulful level. 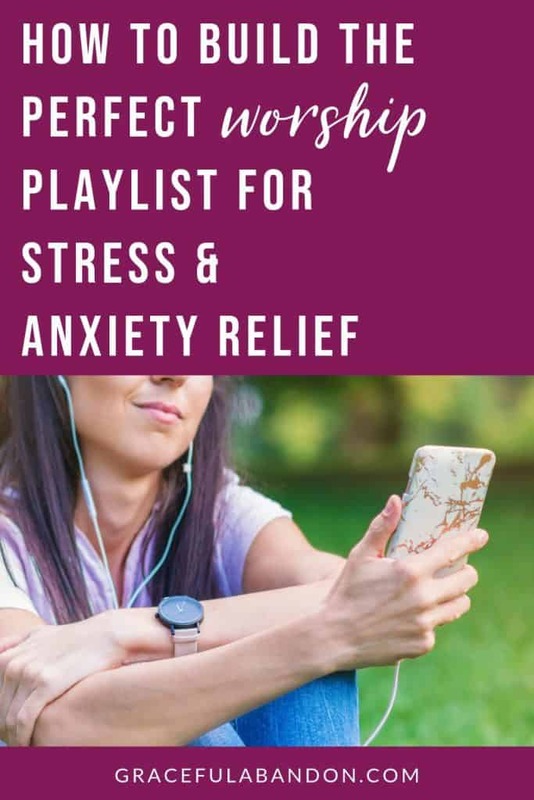 Have you ever tried a playlist as music therapy for stress and anxiety relief? The very first king of Israel, Saul, is a beautiful example of music therapy to control severe anxiety in Scripture. The Bible tells us Saul was afflicted with a mood disorder of some sort and young David’s musical ministry on the lyre was what calmed him and brought him relief (1 Samuel 16:23). And music can make a difference. Did you know there’s an art to building a good playlist for when you’re feeling stressed? 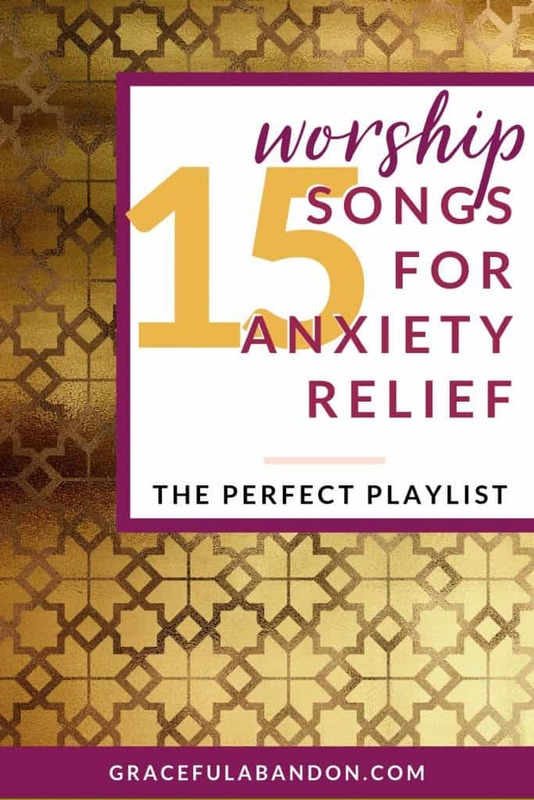 Here’s a few tips for the best Christian playlist for stress and anxiety relief. When you’re stressed or overwhelmed, the last thing you’re in the mood for is some loud, upbeat music. While on a good day it might get your feet moving, when you’re feeling the stress it can make it even worse. Start with some songs that speak to your heart…gently. “Peace Be Still” – The Belonging Co. So next, play some songs that remind who God is and His role in your life. Stay your mind on Him and you’ll have the peace of God flooding your heart and mind. Finish up with songs that are uplifting for you. Leave yourself feeling refreshed and encouraged, but still focused on God and who He is…and who He says you are. While music is a tremendous tool, this playlist is effecting for stress and anxiety relief because it points you toward Jesus. Dear one, it is my prayer that if you’ve found this list, you are also looking to crawl into your heavenly Father’s lap and let Him speak tenderly to you. I encourage you to sing to God through your anxiety; let Him lift your heart as you rest in Him and trust Him with your fears, doubts, and overwhelm. This playlist is a great start, but be sure to add your own favorite worship songs for when you are anxious as well (and share them in the comments!). The Lord is our only hope, and trusting in Him, resting in Him, relying on Him…that is the best relief for stress and anxiety. As you fight through this struggle, I pray you find encouragement in the Bible and in God. —–> What songs would you add? This is exactly how I build my playlists, Lisa! Honestly, when I found you I was like “someone else gets it!” How cool. And your song selections are perfect! Thanks, Tiffany! Yes, it’s a really great way to do it. What’s YOUR favorite song for a time of stress?